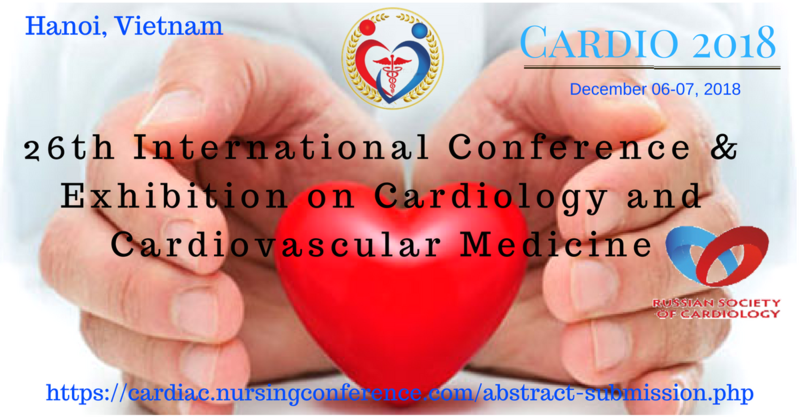 26th International Conference & Exhibition on Cardiology and Cardiovascular Medicine (Cardio 2018) to be held during December 06-07, 2018 at Hanoi, Vietnam. Cardiology Conference 2018 offer a cutting edge program of renowned international speakers, specialist concurrent sessions, short paper and poster presentations attracting over 650 experts in Cardiology, Radiology, Cardio-Oncology. This conference has been carefully designed to meet the unique educational needs of cardiologist and Nurses. In addition to cutting-edge presentations and debates, this year agenda provides you an opportunity to participate in or organize a workshop. Cardiology Conferences 2018 has been designed in an interdisciplinary manner with a multitude of tracks to choose from every segment and provides you with a unique opportunity to meet up with peers from both industry and academia and establish a scientific network between them. We cordially invite all concerned people to come join us at our event and make it successful by your participation.